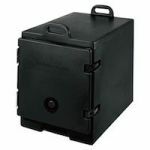 If you require efficiency, quality, and durability, a Cambro product will aid you in your foodservice business. Cambro has spent over 60 years providing service oriented products to restaurants, hotels, schools, caterers, health service facilities and more. Faithful to the Campbell brothers original vision, their innovation and continual expansion has kept them at the forefront in the industry. 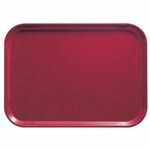 Cambro products, from portable buffet tables to food trays, beverage carriers to food pans, are all designed to make your job easier, and your operation safer, more efficient and more profitable.